All Hail King Julien – Season 5 (2017) – What's New on Netflix Canada Today! Ted’s alter ego Snake returns, social media comes to the jungle, Uncle King Julien tries to take over the kingdom again, and wedding bells ring. King Julien is here to party, and no one can stop him from ruling with an iron fist… in the air, wavin’ like he just doesn’t care! 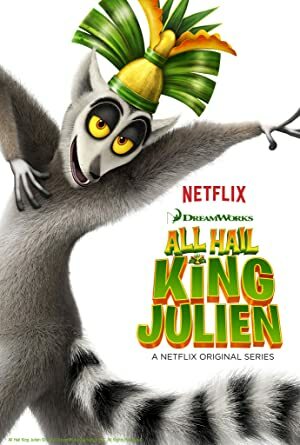 ALL HAIL KING JULIEN brings the wild world of Madagascar to a totally original, totally hilarious and totally insane television series in which the king takes on the craziest adventures the jungle has to offer. A new cast of fantastic, colorful characters joins King Julien himself, along with his second-in-command, Maurice, and his longtime devotee, Mort. It’s a riot of color – not to mention a laugh riot – when viewers ALL HAIL KING JULIEN!